Christmas is my favorite time of the year and with it comes Christmas cookies! Every year my sisters and I get together for a long weekend and we bake. And bake some more. We get all of our baking done and out of the way and freeze all of our cookies until our family Christmas later that month. And yes, it does take a lot of strength to not eat all of the cookies before Christmas! I have put together tutorials for three of my ‘go-to’ cookie decorations and am sharing them with all of you. I am also sharing a couple Christmas cookie recipes that you can use to get the perfect cookie. Trust me, your family will not only be impressed, they will be asking you to make them every year. 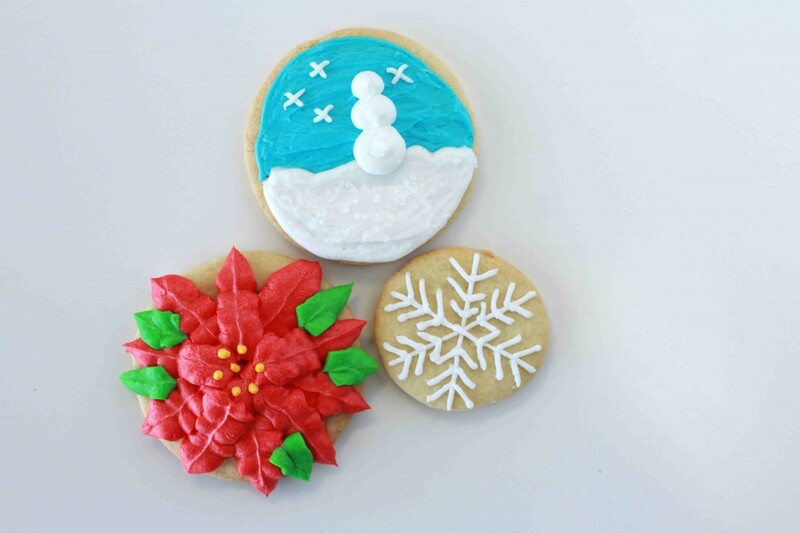 Get the recipe and see how to decorate each of these cookies in a few easy steps.